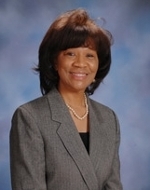 Dr. Joyce E. Kyle Miller is a faculty member at Texas A&M University-Commerce. She received the Bachelors of Arts degree in English and Spanish, the Masters of Education Degree and the Doctor of Philosophy degree in Secondary Education and College Student Personnel Administration from the University of North Texas (UNT), Denton, Texas. Post-doctoral study in Gifted Education has been completed at UNT and the University of Connecticut at Storrs, Connecticut. Prior to completing the Doctoral degree, Dr. Miller taught English and Spanish in public schools in Texas. She holds certifications in Gifted Education, Secondary Instruction, and Supervision. Dr. Miller teaches courses in gifted education, curriculum, instruction, research, and philosophy; she coordinates the secondary education program and has developed the Gifted Education Graduate Program at A&M Commerce. Dr. Miller is a member of the Board for Texas Association for Gifted and Talented (TAGT), elected as Board Secretary. Dr. Miller serves as a member of the TAGT Gifted Plus and Research Divisions and chairs the TAGT Policy and Planning Committee. Dr. Miller was one of three elected USA Delegates to the 2015 Biennial World Conference for Gifted and Talented Children. Professional presentations are made by Dr. Miller at the annual conferences of TAGT, the Society for Information Technology and Teacher Education and the International Conference of the Center for Scholastic Inquiry. Dr. Miller’s research and writings focus on diversity, gifted education, technology, online graduate education and impactful service.